Last week I told you guys that I had an actress picked out to play the Liandrin and that actress is Margot Robbie. She definitely has the acting chops and, with the exception of eye color, she is exactly how I picture Liandrin. Now there are two reasons I don’t think this is feasible. The first reason is not a huge deal, she has blue eyes while Liandrin has dark brown eyes. Not a big a deal and easily fixed or even ignored. The second one is far more important, the budget. Liandrin is not an important enough character to spend the money we would need to spend to get Margot Robbie. So while I think she would perfect, it is an unrealistic casting. Now that we are past that let’s talk about Liandrin. While we don’t get much of a description for her, but we do know she has dark brown eyes and honey-colored hair. She is pretty and has a doll’s face and a rosebud mouth. She is taller than Moiraine by a hand (TGH, Ch. 4). She is slightly taller than Nynaeve (TDR, Ch. 49). She has the ageless face of an Aes Sedai (TPoD, Ch. 24). While her eye color may be negotiable the multitude of braids. I am on the fence about the “rosebud mouth”. While it is a defining aspect of her appearance, I think it could be sacrificed and not missed. I do think it is important for her to look sweet. I always felt like her looks were in contrast to her personality and that it was done on purpose. As far as her personality, she is mean and conniving, though she doesn’t quite look it. I don’t think the actress that is chosen to play her will need a wide acting range, though she will have to act afraid at one point. So we need someone with a rosebud mouth (maybe) who is pretty, but mean and conniving or at least can act mean and conniving. 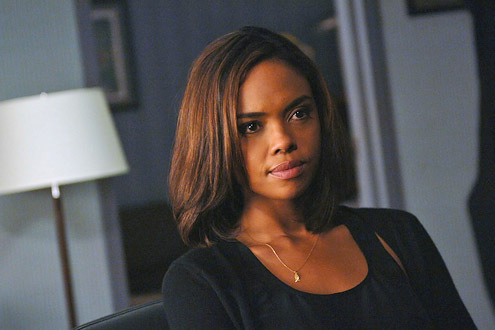 Sharon Leal is an actress that I think would do well in this role. Some of you may remember her from my To Cast a Villian:Semirhage post. I like her for this part more than I do for Semirhage. She has a strong acting resume and I think she can play “bad” very well. We would have to lighten her hair (which is not a big deal). Most of her experience is in TV series, which I think bodes well for anyone that gets a part in this venture. Now I know some people may disagree with this casting because the envision Liandrin as Caucasian. But we do not have a skin color for Taraboners in general and we don’t have a description of skin color for Liandrin. We know some of them to have yellow-honey hair colored and dark eyes. With the knowledge that the Breaking shifted the landscape and the country lines it is completely feasible (in my opinion) that most nations have a bit of a diverse population, like Seanchan. That being said I am standing by this casting. I also really like Lily Collins for this role. She actually may be too talented for it (and unattainable) but based on what I have seen of her acting skill and her look I think she would make a good Liandrin. I actually can think of a few other roles she would do well, but none of them are villains. We would have to lighten her hair and maybe give her contacts. But I think her acting ability would make up for any think her look “lacked”. My last suggestion is Eliza Dushku. Honestly, I think she is the most realistic fit, based on budget and the availablity of the actress. You may recognize as Arnold and Jamie Lee’s daughter in True Lies(1994) or as Faith on Buffy the Vampire Slayer (1998 -2003), but she has been busy since then. She has both movies and television series on her resume. I think she would do well in the role of Liandrin, she has the look and I think she has an excellent “mean girl face”, but is still pretty. She looks like she is always up to something, but could totally talk her way out of it. Now after doing all this casting, I will say, I think Liandrin will probably be one of the characters that get cut. He character arc is not impressive or that important. 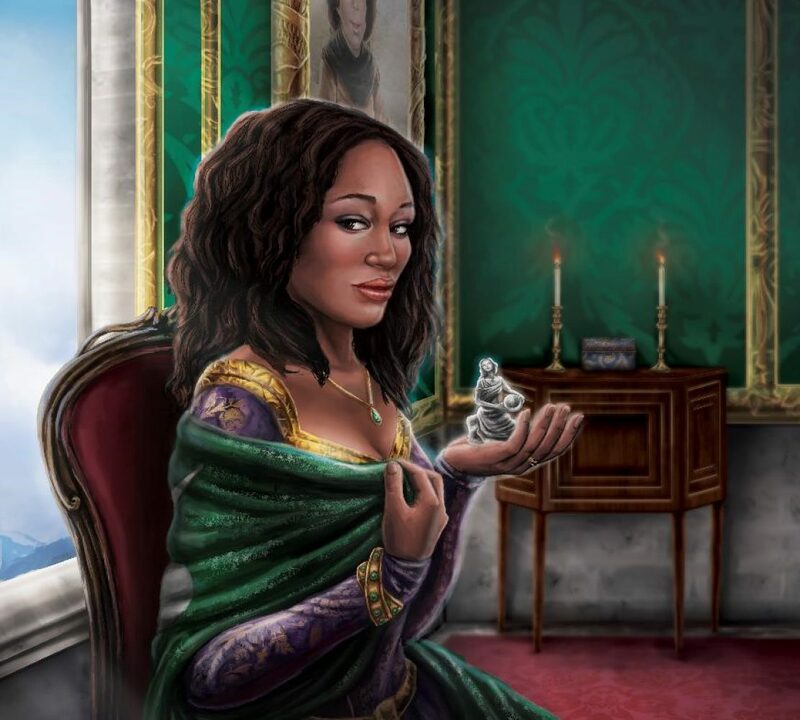 She is one of the Thirteen Black Sisters that stole several ter’angreal from the Tower storerooms and then fled Tar Valon. (TDR, Ch. 13). And while the number 13 is important in the series, I think it is one of those nuances that will be sacrificed for the sake of time and budget. I would love for them to put every single thing in the books into the television series, but I am realistic. There is money involved in this venture and some hard decisions (or not so hard depending on who you ask) need to be made. And think Liandrin’s role can be folded into another character or dropped altogether. But I will not go too deeply into that here since this is about casting.